Thanks to my sweetie, I had such a relaxing weekend. I am feeling good, the work load let up a little and I caught up on much-needed rest. All I wanna do now is watch some TV with B. I will leave you with this superb song, which explains the way I am feeling about the two of us right this moment. I hope you'll enjoy this remix version of Happy by Surface. Happy Music Monday everybody! oh wait!! It's a double * post!! did I get it marzie?? did I?? did I?? I am loving the robot Ane!!!! U did Ane! First chop for the month woo hoo!! Yes u did Shemah!!! Woo hoo, now dance for me ha ha ha!!! You do the robot, ane! I'll do the running man!!! WOOHOO!! But since this is my first point here, I'm gonna do the FOOTLOOSE!!! Ha ha ha ha humiliate urself it seems Shemah ha ha!!! Yippe yippe!! FC2.. can I have NES here, Marzie?? I'm grooving to "Happy" marzie! :) :) my shoulders have a life of it's own listening to this song! LOL! Thank yewww!! At least I made one chop!! LOL! I love the song GP! I have not heard this song for quite a while. Nice pick! ane's MM mini contest game! LOL! This was on your blog once upon a time, wasn't it? Recent blog post: First Commenter Chopping Stress! I love the song GP and so glad you are relazing now. no more PB ke?? Me? still running around like headless chicken.. venturing in ecommerce sites now!! yiha!! Thanks Debbs! :) This is the only one I got! Oh Ane, I didn't get to chop any MM today, I think! Will do sweetie, now looking forward to Fri edi lol! Ane’s badge looks superb la LJ, good job! Marzie...C cakap he knows the group but he likes the other song. Dunno la which one lol!! Debbs! Tanya la C lagu apa? I hope it’s not the one that I don like, the lovey dovey boring one lol!!!! I think so Debbs, dia min 20 bucks kan can take out??? I hope so can take out, gonna take out all! Yuppers $20 min payout! Tapi less than a minute dah masuk Paypal yeehah! That's the one!! Ala C mmg corny lol!!! I dunno lah Marzie. No idea at all. :'( Now oso mmg almost to none la their sponsored posts offers. I also don't like overplayed songs. Luckily I don't listen to radio anymore lol!! Mmg pun depa same geng. Ish! Me too Ane! 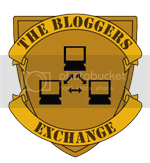 Am loving your gorgeous badge on my gorgeous blog too LOL! !